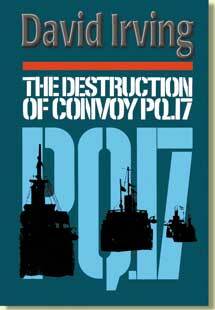 This book tells the Real History of a naval disaster of World War II. In June 1942, the great Anglo-American convoy PQ-17, laden with cargoes for the Soviet Union, headed for North Russia, escorted by a mighty array of British and American warships. On July 4 the British Admiralty ordered the convoy to scatter and the escorts to escape. Codebreakers had wrongly put the mighty battleship Tirpitz at sea. The Germans hunted down and sank almost every ship. David Irving chronicled their fate, and spoke with the bomber and submarine crews. He gained access to US and British naval records, and to the admirals and politicians too. 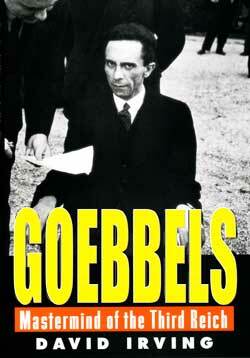 The book was a best seller - with consequences. A defamation action brought by a British Royal Navy officer led to one of the biggest libel awards ever made. The battle that began in the Barents Sea in the summer of 1942 lingered on through two more closely fought actions in the Court of Appeal and the House of Lords thirty years later: but that’s another story. David Irving's The Destruction of Convoy PQ-17 is a well-researched and well-written story of one of the northern Lend-Lease convoys to Soviet Russia during World War II. Due to a series of maneuvers by the Germans, messages by the British, and mistakes, the convoy scattered and suffered very high losses to German U-boat and air attack before the survivors finally reached Soviet Russia. Irving's account of this action is one of the most readable narratives of any sea action that I have ever read. 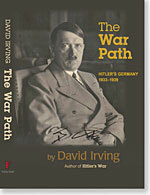 Irving's account of the battle is extremely well-researched. He recounts how confused and in the dark both the British and German commands were during the battle. Much of his story is based on archival research into both the British and German commands' actions and decisions, but he fleshes out the story with great narratives based on ship logs, the memoirs of many participants, and interviews with many of the survivors. The personal stories help add a human dimension to the story, as he recounts the difficulty of trying to survive at sea in the northern latitudes with German aircraft and U-Boats stalking the ships.